A New York destination for fine Italian specialties. : No sooner do you sit down at this cozy Village spot than the waitstaff begins showering you with goodies: hunks of Parmigiano pried off a huge wheel, bruschetta topped with garlicky chopped tomatoes, fried zucchini and more. But before you start thinking you're getting a bargain look at the menu, where entrées top the $40 range, and ask the waiter how much the special veal chop or lobster in garlic sauce will cost you. 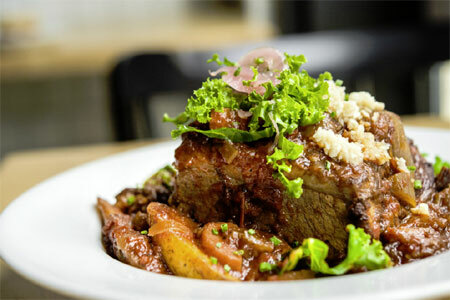 Or opt for the filet of beef with shallots, sage and wine, or wild mushroom and truffle risotto. The wine list, too, is pricey, but there is an excellent selection of Italian bottles. 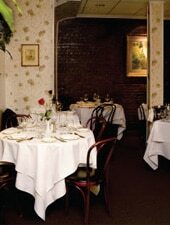 Although Il Mulino is unquestionably overpriced --- especially considering the dining room is cramped --- it somehow seems worth it. The food is always good, the service solicitous and by the time you leave you feel like an honored member of a hallowed club. Especially when you finish the meal with mascarpone and ricotta cheesecake, or flourless chocolate cake with fresh whipped cream.